This is not a comparison test. And it is a comparison test—sort of. Right after they scan the car’s performance results, we know the first question from the Blue Oval faithful and Bowtie Brigade is going to be, “Is the 2018 Mustang GT with the new Performance Pack Level 2 (PP2) as good as the Camaro SS with the 1LE package?” Although we did not have both cars at the same time to do it properly, they were, in fact, tested in the same locations and by the same drivers. Because both were included in our annual Best Driver’s Car Tests (2016 and 2018), we have pages and pages of detailed staff notes on both, from their respective test days, and from the road. Finally, our on-call gentleman racing driver, Randy Pobst, threw down hot laps at the same track in both, and he’s a consummate debriefer after stepping out of a car. So, grab that bottle of artificial tears, pin your eyes open, and let’s do this. At 4.3 seconds to 60 mph, it eked a 0.1-second lead over the PP1-equipped GT. This also makes it the third-quickest stock Mustang we’ve tested. 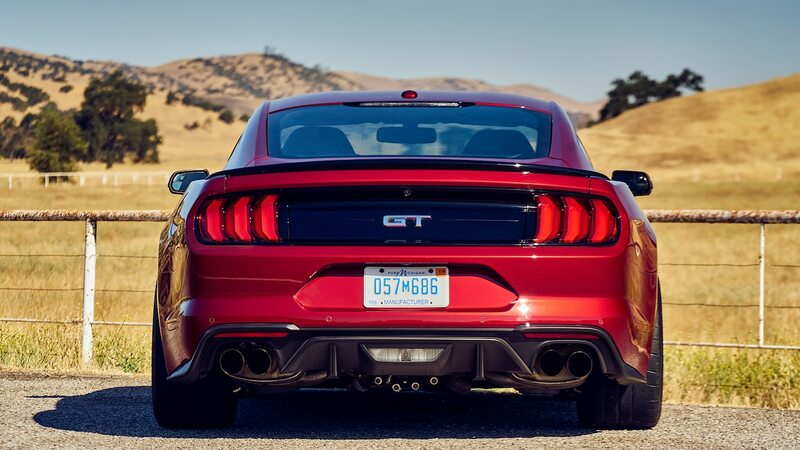 The 2018 Mustang GT with a 10-speed automatic got there in 3.9 seconds, and the 200-pounds-lighter 2012 Boss 302 Laguna Seca in 4.0 seconds. Expectedly, both the PP1 and PP2 (with the same 460 horsepower) cross the quarter-mile finish line in an identical 12.6 seconds, but the downforce-optimized aero package on the PP2 GT finds it going slower at 113.5 mph to the PP1’s 115.1 mph trap speed. That’s right. During the entire quarter-mile run, a driver can keep the throttle pedal pinned to the firewall in the Camaro SS. Just kick the clutch pedal and grab the next gear while the engine belches/waits a split second for the clutch to engage again before giving full power back. Do it right, and it practically feels/sounds like an automated manual transmission. Back-to-back runs prove it’s measurably quicker exploiting no-lift-shift. In the end, it was a close virtual race, but again, the Camaro SS 1LE wins the drag race against both of the Ford GTs (PP1 and PP2) with its own 12.4-second 114.2-mph pass. Both the Mustang and the Camaro utilize vented, steel discs and Brembo calipers to get the job done very effectively. Both stop from 60 mph in just 94 feet, but we’ll give this round to the Mustang. We like a steady, talkative brake pedal and the confidence that the brakes are clamping from initial pedal input all the way to a standstill. Randy’s WeatherTech Raceway Laguna Seca post-lapping impressions will help clear the air some more. There’s nothing like a race car driver who can immediately unpack a car’s strengths and weakness, the probable reasons for them, and in easily comprehended ways. No wonder auto manufacturers steal him away from time to time to help set up their cars before their release. As he stepped out of the car, Randy said, “This Camaro SS 1LE is a terrific car to drive on track—almost unbelievably good considering it’s on a Goodyear Eagle F1 tire, which is a pure street tire. It’s not an R-compound track tire. The engine is a big V-8, sounds great, fat torque curve, and it takes a while to get to the redline. I think partially because the car has really tall gears and a fairly wide ratio split. I did a lot of the track in third gear, and the engine pulls from midrange to top end all the way through. Best feature? The front-end grip. All the way through the corner, I could adjust the car with the steering. The front end never died, which is kind of unusual on a front-engine rear-drive V-8-powered pony car. [Yet] I didn’t find the throttle to be linear. I want a linear throttle. I don’t want it playing games, and I felt like it did. When I asked for 20 percent more, I didn’t necessarily get 20 percent more. So I had to be gentle with my throttle application because I wasn’t real sure what I was going to get. It had a little bit of oversteer, like, all the time. Yeah, lots of corners. I kind of went all the way around there with the tail out, feeling a little bit like a hero. So it was—I mean, it was a pleasant feeling. I smiled a lot.” The fruits of his efforts was a 1:37.77 lap time. But he paused with, “The frustrating thing on this Mustang was that the AdvanceTrac—the stability control—has a little bit of a mind of its own. We were able to turn it off, but half a lap later, it comes back in. It’s very interesting. It was actually trying to cover for that entry oversteer that I was feeling. It’s like it’s learning, then it starts sticking its nose in my business. And the rear’s just not hooked up. I just feel like this is another example of a chassis-dynamics guy who likes a little bit of oversteer. I think that keeps it from being perfect.” The 2018 Ford Mustang GT PP2’s best lap at Laguna, 1:38.42, is just 0.65 second behind the Camaro’s best but a whopping 2.64 seconds faster than the 1:41.06 of a 2012 Boss 302 Laguna Seca edition. When asked how the Mustang GT PP2 compares to the Camaro SS 1LE, Randy quickly replied, “It’s not balanced like that damn Camaro. It’s still not there, but it could be. Just a little tweaky-tweak.” Besides the difference in the outright lap times, which were close, the Mustang’s twitchy entry attitude and its pesky stability control system were no match for the composure and confidence supplied by the Camaro SS 1LE—even on a street tire. Can you imagine what the Camaro would do on a Pilot Sport Cup 2? This round goes to the Camaro. 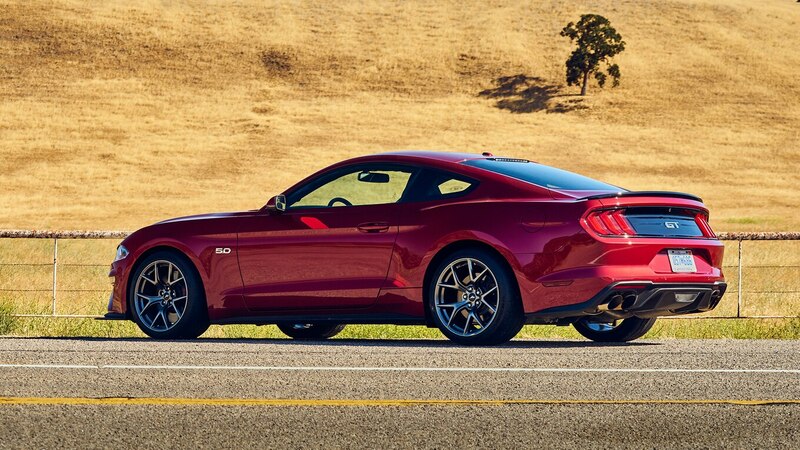 Most of that can be attributed to the Mustang GT PP2’s tendency to nibble and tramline on cracks, seams, road crowns, and grooved highways. We’ve noted similar aberrant behavior from another Ford with 305-section R-compound front tires (the Shelby GT350R), as well as the 2014 Chevrolet Camaro Z/28. So, unlike the obedient Camaro SS 1LE, the Mustang GT PP2 needed persistent attention to merely follow the road, much less to choose a driving line. 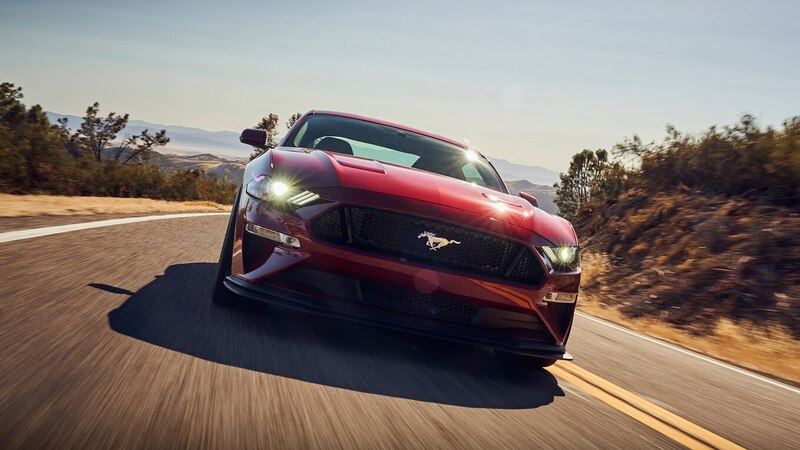 It’s also frustrating that the Mustang’s Sport+ and Track modes don’t allow the driver to override their heavy, preset steering weights and instead select Comfort to alleviate some of the effort required at the wheel. In the Camaro, one can do precisely that. Back roads belong to the Camaro in this comparison. 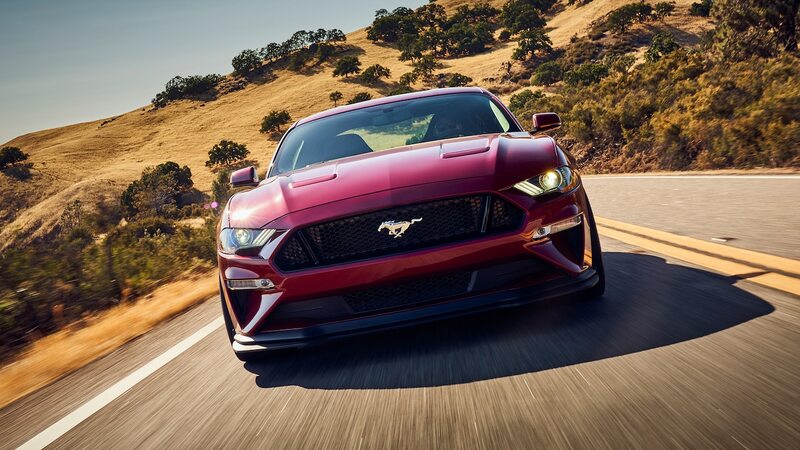 In this non-comparison comparison test, we’ve used our recent data and real-world experiences to offer a first test of the 2018 Ford Mustang GT PP2, and also to predict the outcome of the inevitable comparison to the Chevrolet Camaro SS 1LE. According to the stats, it was far closer than the rout that the PP1 suffered when put to the same task. This bout, however, again goes to the Bowtie Brigade. Although the Mustang GT PP2 tipped the scales 34 pounds under the PP1 Mustang, there’s still another 94 to go to reach the lighter 3,735-pound Camaro SS 1LE. Weight is not the only factor, though. The new Performance Package Level 2, with the addition of Michelin Pilot Sport Cup 2 tires, indeed helped its performance, gaining grip for better launches, shortened braking distances, and greater lateral-g loads in corners. However, those tires also hindered its everyday drivability and fingertip control on fun roads. And even though the track-tuned suspension worked well on a track, it was far less settled on real roads. Randy Pobst’s Laguna Seca lap times were less than a second apart, but in his analysis, the Ford’s performance and behavior still had room for improvement. 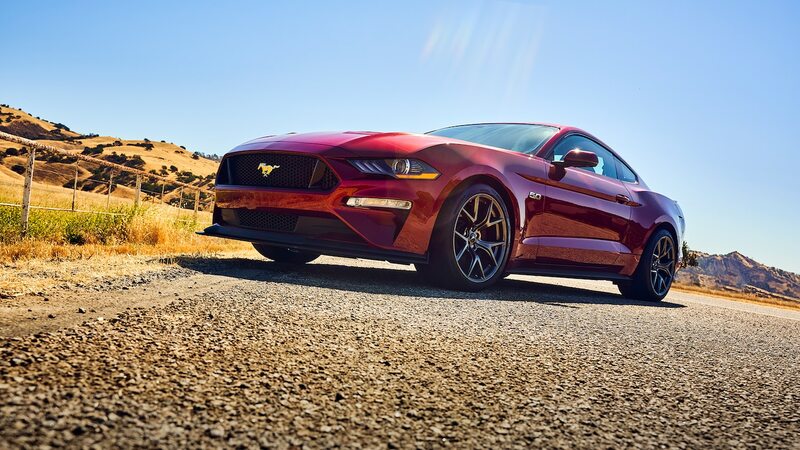 The 2018 Ford Mustang GT PP2 is, indeed, the best Mustang GT ever. However, with outright wins in acceleration, figure eight, skidpad lateral-g average, a Laguna Seca lap time, as well as the unanimously favorable subjective analysis from our staff and Randy Pobst, the Camaro SS 1LE is still the best all-around pony car available—but by a narrower margin this time. The post 2018 Ford Mustang GT Performance Pack Level 2 First Test: The Best Mustang GT Available appeared first on Motor Trend.